Step out of your car and breathe the crisp mountain air at The Kanata Inn. The Kanata is equipped with time-saving amenities like microwaves, refrigerators, a guest laundry and free truck / RV parking, free WiFi Internet access, a free on-site SuperStart continental breakfast, and hot tub. Kids 17 and under stay free with an adult. The on-site restaurant offers fresh salads, juicy burgers, mouth watering pastas and elegant entrees. These examples just barely brush the surface of the wonderful offerings Rocky River Grill has. Their inviting culture will always greet you with a smile. Invermere-on-the-Lake (population 3,391) is a small, friendly town situated on the shores of one of the warmest lakes in the region. Spend the day at the beach or on the water, but take time to explore the quaint shops and galleries in town. Nestled in the foothills of the Canadian Rockies and just minutes from Windermere Lake, this hotel puts the beauty and excitement of British Columbia at your doorstep. 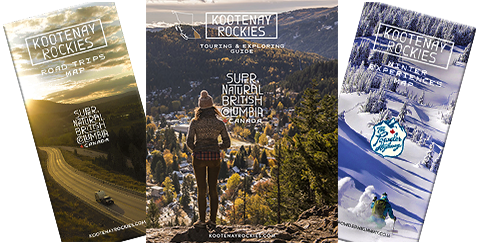 Kootenay National Park is also minutes away. Minutes west of Invermere, Panorama Mountain Resort is all about play. Kids love the waterpark, waterslide and adventure camps. Grown-ups enjoy the hot pools, shops, restaurants, the Greywolf Golf Course and the perfect setting. Great vacation packages are offered at both Panorama Mountain Resort and downtown properties. Golf at the breathtaking Eagle Ranch Golf Resort, enjoy wonderful lodging at the Kanata Inn Invermere and save up to 30% off your room when booking the package.